If you are looking for a great diamonds at a fantastic price, we can help you. We have access to a large inventory of top notch certified diamonds. This wonderful stones are inventoried by large wholesale diamond dealer that has the financial means to do so. Our diamond offerings are from that inventory. Since we don’t have to cover the huge expense of keeping such valuable gems, we are able to pass the savings to you. The end result is that you obtain a great diamond at a fantastic, well below retail price. Diamond brokerage is more suitable for the discerning buyer. This means someone who is well informed about diamonds and knows what will make him or her happy. In addition, diamonds suitable for brokerage tend to be of higher quality, therefore, even at well below retail, they tend to have a high lower price floor. In other words, even if they are a great deal, they still command a lot of dollars. Diamond brokerage works very different from retail buying. 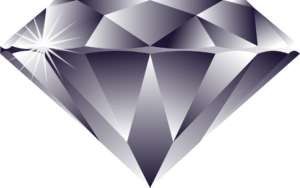 In diamond brokerage, the gem acquisition process is more objective and value oriented. The result is that, by buying a diamond through diamond broker, you “get more bang for your buck”. Step 4 – Inspect. If you like one of our diamonds offerings, and are serious about it, we will bring the diamond to our office for you to inspect. For this to happen, we will charge you $150 for the cost of handling the shipping of the diamond to us. This payment is not refundable, but will be deducted from the agreed sale price if you decide to purchase the diamond. If you like the diamond physically presented to you, but still need further assurance, you can have the diamond evaluated by a professional gemologist. Since this service is on your behalf, the gemologist should be hired by you, with you paying. The cost of doing this is minimal in comparison to how much the diamond is worth. This is well worth doing. It will make you much more sure about the value of your acquisition in comparison to how much you will pay for the diamond. Step 5 – Payment. If you are satisfied with all of the above, and are happy with the diamond presented to you, and want to buy it, we close the sale. Payment is cash, or cashiers check, and not refundable. By this time you should be very confident and sorted out about your diamond acquisition. This is actually not any different than buying a diamond from a retail store. Additional Service. We can connect you with top notch goldsmiths that can create, customize or order the perfect setting for your diamond. We have great jewelry industry connections. All can be done in downtown Portland, by people you directly work with. We don’t participate on this. For the most part we broker higher end diamond items. We don’t deal with lower or much mid range jewelry. Below is a good representation of what we can get. All the diamond items we handle are offered at a great value, usually well below comparable retail. However, this diamond jewelry is top quality and therefore the price floor is not low. We don’t deal with items suitable for a tight budget.